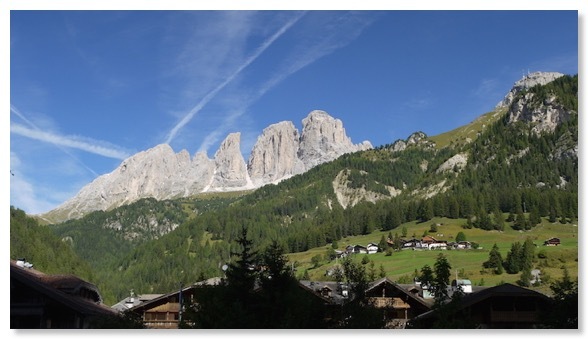 Campitello has become a classic Dolomites blend of the old and the new. The 1970s and 1980s have a case to answer for some of the modern development. However, it was a delight to discover how little changed the view was from the grassy hillside behind the village church. Several nearby buildings are immediately identifiable, as well as the church itself, of course. 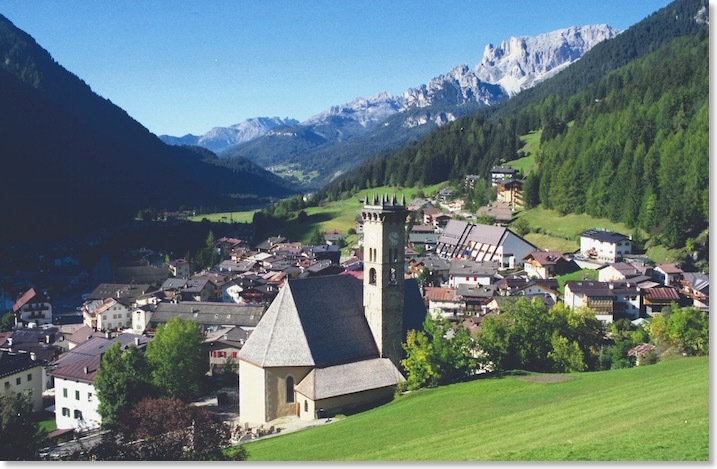 The little gothic church is dedicated to St Jacob and St Philip and is one of the oldest in the Fassa valley. 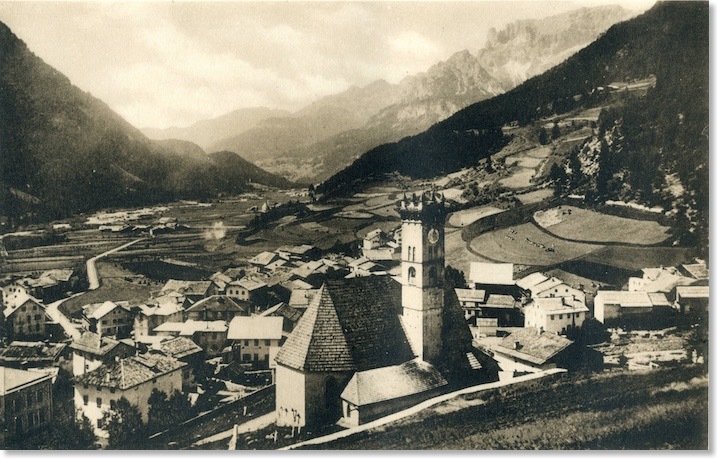 It is difficult to date the Zardini photograph with any precision, so little has altered. Although only a few miles from several very bloody battles, the area was relatively little affected by fighting in the First World War. 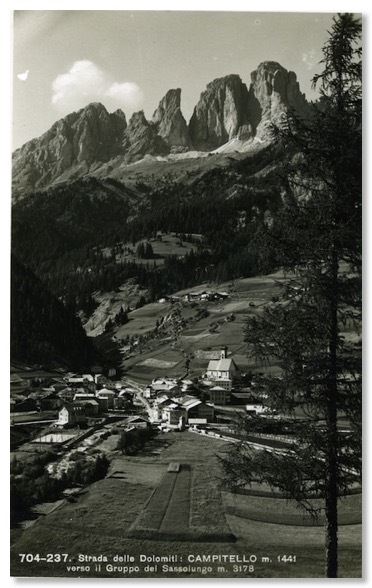 It did not, for example, see a wholesale felling of forests to reduce cover for enemy troops, a fate all too visible in some of Zardini’s other photographs, which helps to date them close to the end of the War. 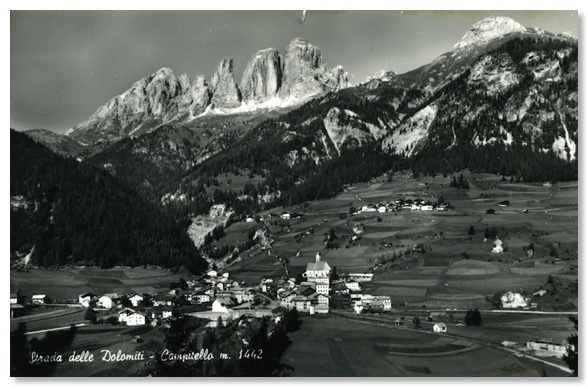 Although Zardini re-shot the next photo, of Canazei, for the Cortina to Bolzano edition of the guide to the Road, this shot of Campitello was used again in that version, without any updating.